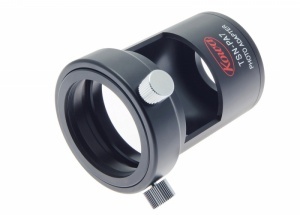 The Kowa TSN-PA7 D-SLR digiscoping adapter transforms your KOWA TSN 880/770 series scope into an extremely high powered telephoto lens for you D-SLR camera. Allowing you to not only experience stunningly sharp views of the world around you, but also take highly magnified, detailed and vibrant photographs and videos with your D-SLR camera. 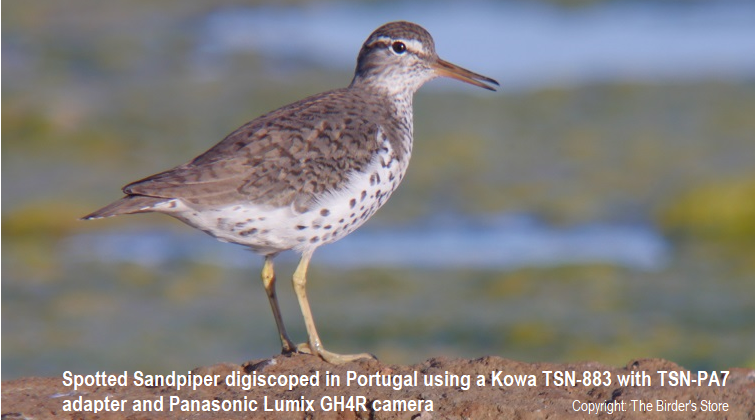 In contrast to conventional digiscoping, where the image produced by the spotting scope eyepiece is photographed. 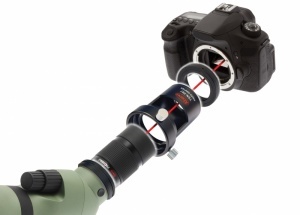 the TSN-PA7 connects your D-SLR directly to the body of the scope via a T2 mount. Creating a high powered, yet lightweight and compact telephoto lens, when compared to traditional telephoto lenses. Designed to be used with the Kowa TE-11WZ/ TE-10Z zoom eyepieces and Kowa TSN-880/770 series spotting scopes. The design allows for the full use of the zoom eyepiece range giving an amazing focal length reach of up to 2570mm when using the TE-11WZ eyepiece or 2750mm with the TE-10Z.